Make your Gala Reservations at the Lake House! It is so easy and convenient. 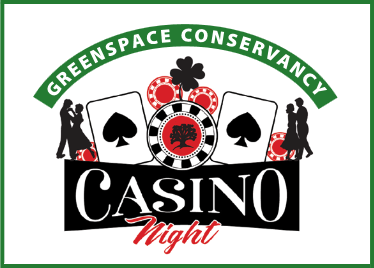 Green Space Conservancy members will be selling reservations for the 2019 Casino Night Gala in the Lake House Lobby from 10 am until noon on Saturday, January 12th. All you need to do is complete your reservation form and attach your check for $100 per person. The price of your ticket includes raffle tickets, sumptuous food stations, wine, beer and soft drinks. Please not that there is no assigned seating this year. If coming to the Lake House is not convenient, you may also go to SIGSC.org to download a reservation form. Forms, along with your checks, may be dropped off at the special “Gala” mailbox at 3212 Seabrook Island Road, c/o Gorskis. Our Casino Night will feature Craps, Roulette and Black Jack, along with other fun games of chance and lots of terrific prizes. A DJ from Audio Sound Design will spin your favorite dance songs, while Bob Becker will play Gaelic tunes in the “Irish Pub.” Our auctions promise to be unique and surprising! The Gala sells out very quickly to act now to make sure you don’t miss out on this awesome event! !